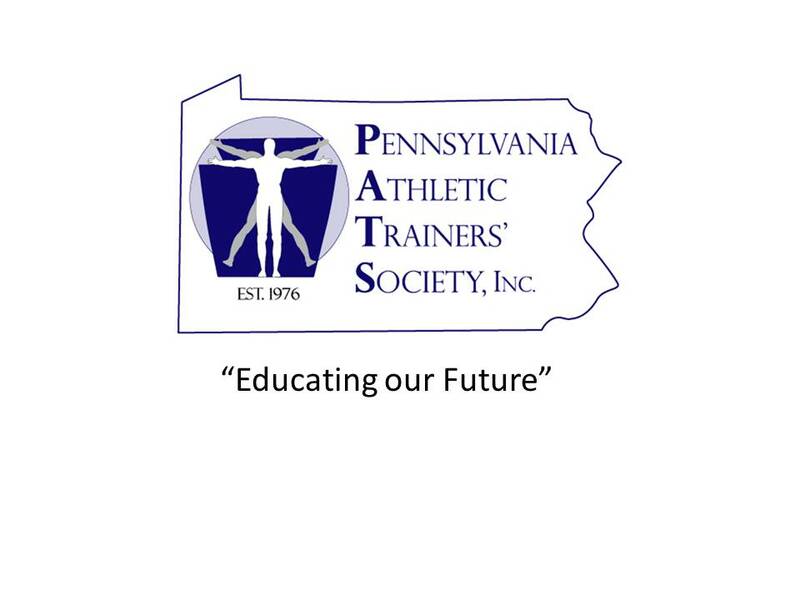 The Pennsylvania Athletic Trainers’ Society (PATS) Provides Sponsorship for the 3rd Annual Central PA Sports Medicine Symposium in Hershey. 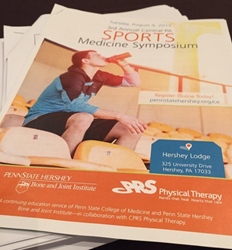 The Pennsylvania Athletic Trainers’ Society (PATS) collaborated with the Penn State Hershey Bone and Joint Institute, and CPRS Physical Therapy at their 3rd Annual Central PA Sports Medicine Symposium on August 4th in Hershey, Pennsylvania. Over 250 attendees including medical doctors (MD), athletic trainers (ATs), physician assistants (PAs), and physical therapists (PTs) received continuing education units. The collaboration between Penn State Hershey Bone and Joint Institute, and CPRS Physical Therapy had many professionals circling their calendars in early August to attend this engaging and affordable seminar at the Hershey Lodge. The Symposium offered six Board of Certification (BOC) continuing education units (CEU’s) for athletic trainers and included three Evidence Based Practice (EBP) CEU’s sponsored by CPRS Physical Therapy. A lunch and post-conference reception sponsored by the Pennsylvania Athletic Trainers’ Society (PATS) allowed for networking for all 250 attendees. The planning for the Symposium starts in the late fall with Dr. Robert Gallo from Penn State Hershey and Lynn Brumbach and Jeff Shields from CPRS Physical Therapy deciding on topics, recruiting speakers, applying for EBP credits, selecting lecture sites, menus and creating a schedule for the symposium. Many of the topics are selected after reviewing evaluation forms from attendees of the Symposium from the prior year and trying to match many of the suggested requests. This year, PATS Southcentral Representative, Wes Mallicone, proposed the idea of sponsoring the post event reception to the PATS Executive Board. Mallicone and Shields personally welcomed every attendee at the reception sponsored by PATS, which included complimentary beverages and Hors d’oeuvres. During the post Symposium reception, John Moyer, PATS President, introduced the PATS Executive Board members and Committee Chairs in attendance. Moyer also reviewed many of the changes in protocols with the Pennsylvania Interscholastic Athletic Association (PIAA) for the upcoming fall season, as well as general updates about recent EMS protocols and current PATS initiatives. Mallicone, Moyer and Greg Janik, PATS PR Chairman, also handled a PATS display table in the reception hall during the seminar providing attendees many fun give-a-ways including mugs, magnets, bookmarks, and posters. Dr. Cayce Onks, DO, MS, ATC said it best during one of the breaks noticing that a few extra seats needed to be added – “We are going to need a bigger room” – quoting the 1975 blockbuster movie JAWS with Roy Scheider – “We are going to need a bigger boat”. The goal is to continue to raise the bar and provide the very best in continuing education to our health care friends and professionals.